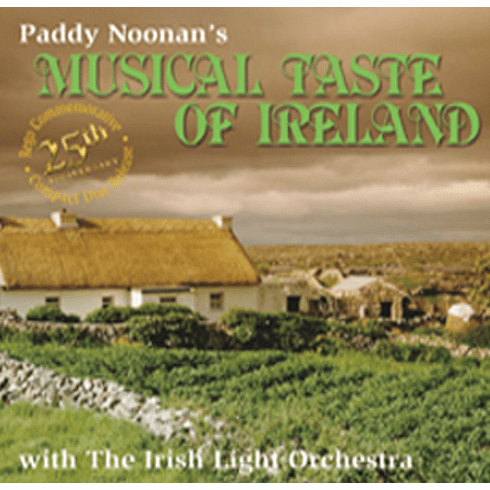 Paddy Noonan's much loved 'Musical Taste of Ireland' is once again available to you. This wonderful CD of Irish instrumental classics is as fresh today as it was 25 years ago when Paddy recorded it. Musicians today strive to reach this standard of musical achievement. . Paddy Noonan and The Irish Light Orchestra fill you with a great sense of serenity and help you to experience the soul of Ireland as never before. THIS ST. PATRICK'S DAY MAKE IT THE MUSICAL TASTE OF IRELAND!! !